Whenever I’m in Utah, it’s usually for a short amount of time and Blake and I are running around like crazy trying to work while seeing our friends and family. My family is also so busy with their own crazy lives, but it means the world to me that they find a way to accommodate me every time! This last trip, I decided to plan a little girls’ night ahead of time with my sisters to guarantee us some quality girl time ;). 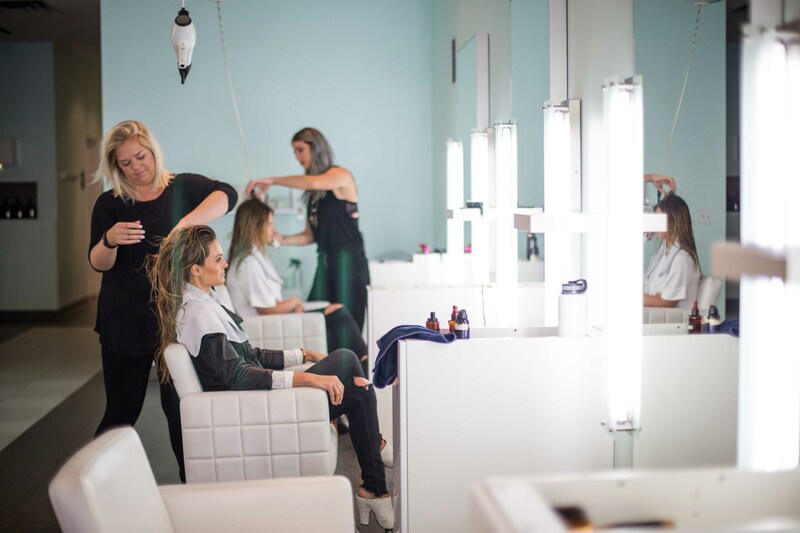 I’d heard great things about the blow dry bar/makeup salon called h2blow, so I made us a few appointments. Guys, we loved it! We had so much fun! It’s located in Salt Lake in Foothill Village, so it’s easy to get to wherever you’re coming from, which makes it a great spot to meet up! We were offered drinks when we walked in, met our stylists, and talked about what look we each wanted. Then we proceeded to have our hair washed (scalp massage included! ), treated with protein, blown dry, and styled. 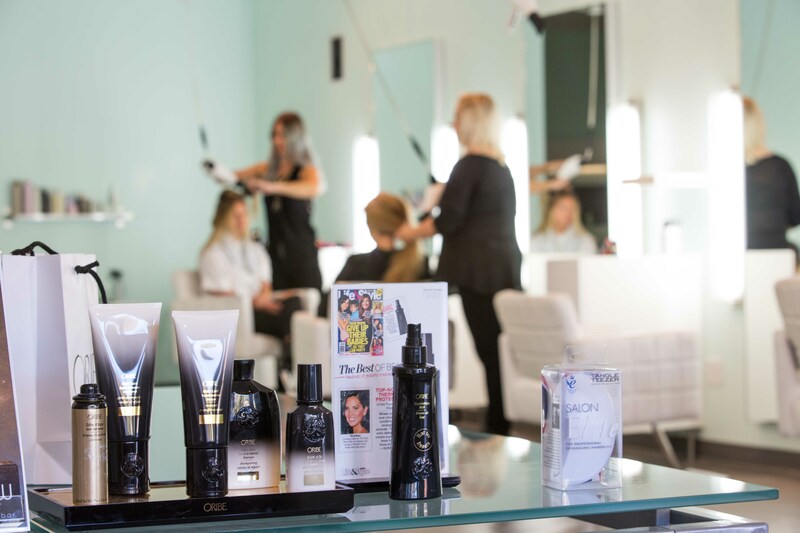 On of the BEST things about h2blow – they carry Oribe!! My current FAVORITE line for washing, treating, AND styling. And not only do they carry it, but they use it on you! Which makes the blow out that much better ;). 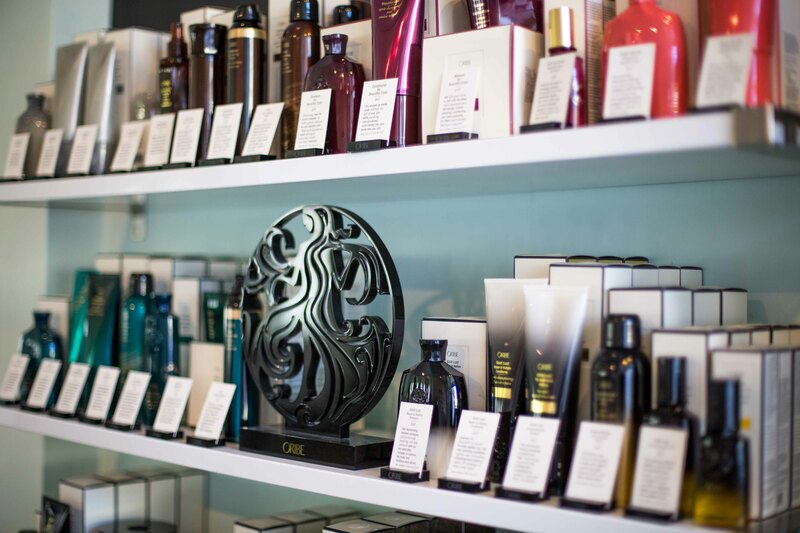 If you’re in Utah and you’ve been looking for a spot to stock up on Oribe, H2Blow is the place – they’ve got everything Oribe! Needless to say, after our blowouts were done we had to shop the products they used on us. We had so much fun picking out what we wanted and going through the line. We also had so much fun looking through the makeup line they carry, Becca. If you’re ever there, take a minute to ask about it because it’s a really amazing line for illuminating, if you’re into that. 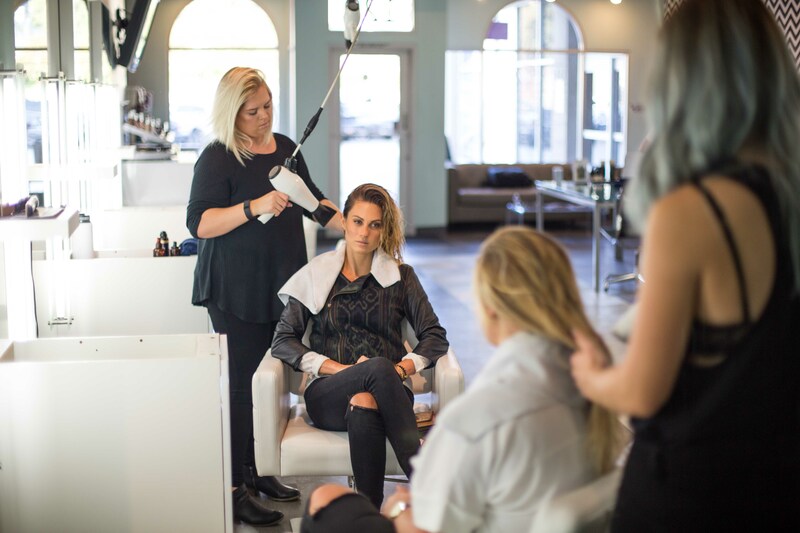 More Services Offered: A few other services they offer besides blowouts are various conditioning treatments, braids, scalp massages, updos, makeup, waxing, and brow and lash tinting. Blake was pretty excited when he found out they offer a “Men Zen”, a scalp massage treatment for men. They even offer “Princess Blowouts” for little girls! How cute is that? You could also book a party here for little girls – we are determined to have my little niece and all her friends come here! Check their full menu and pricing here. 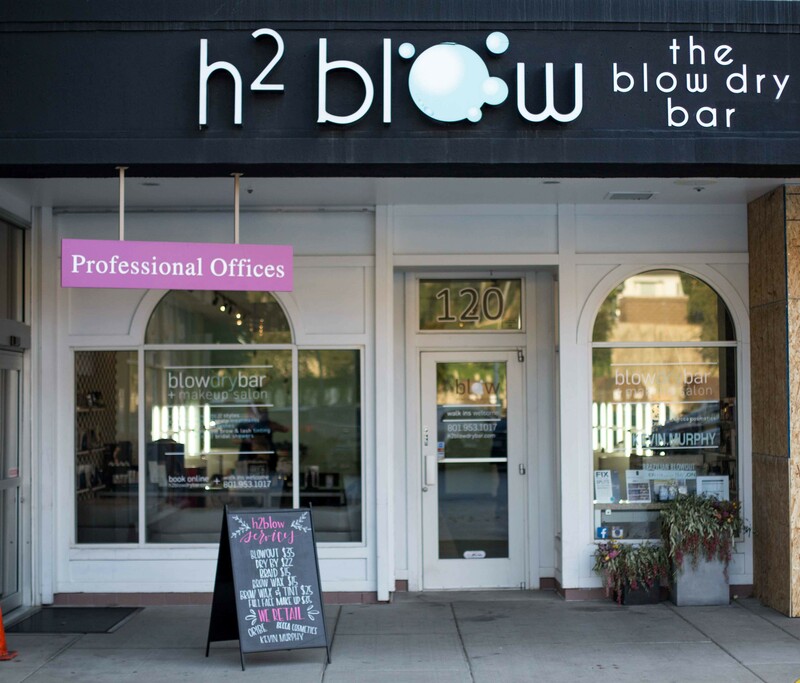 Thank you so much to Allison and the adorable girls at h2blow that showed us such a great time! Can’t wait to make this a tradition. Girls’ Nights forever ;). 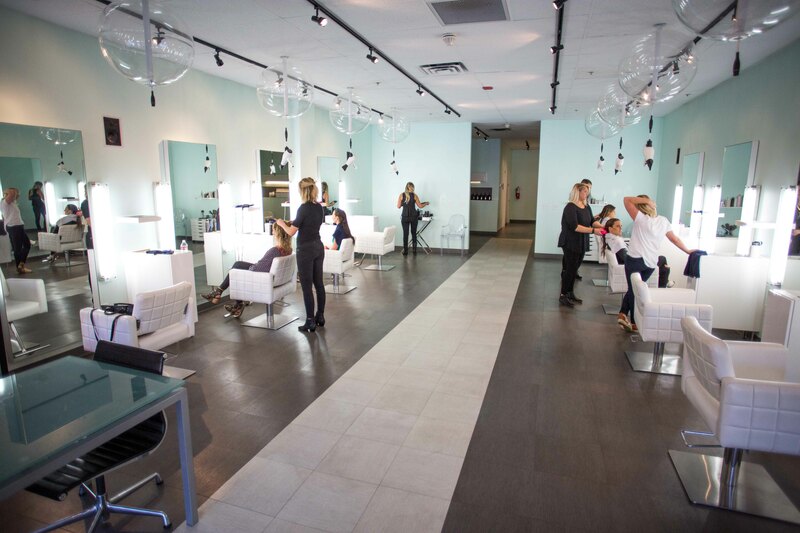 And for all of you, H2Blow has offered 10% off all services and products when you mention Palms to Pines! 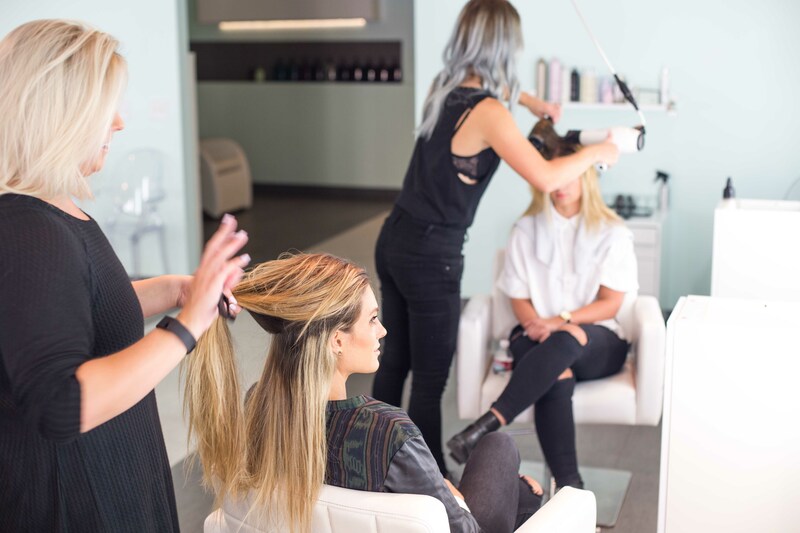 And, check out my Instagram today for a chance to win a blowout for you and a friend!